Laila’s inviting, open cage style features voluptuous curves, whilst a classical candelabrum imparts a soft, warm glow. The design culminates with decorative tapered detailing beneath, finished in Rustic Antique Bronze for a truly classic countrified style. 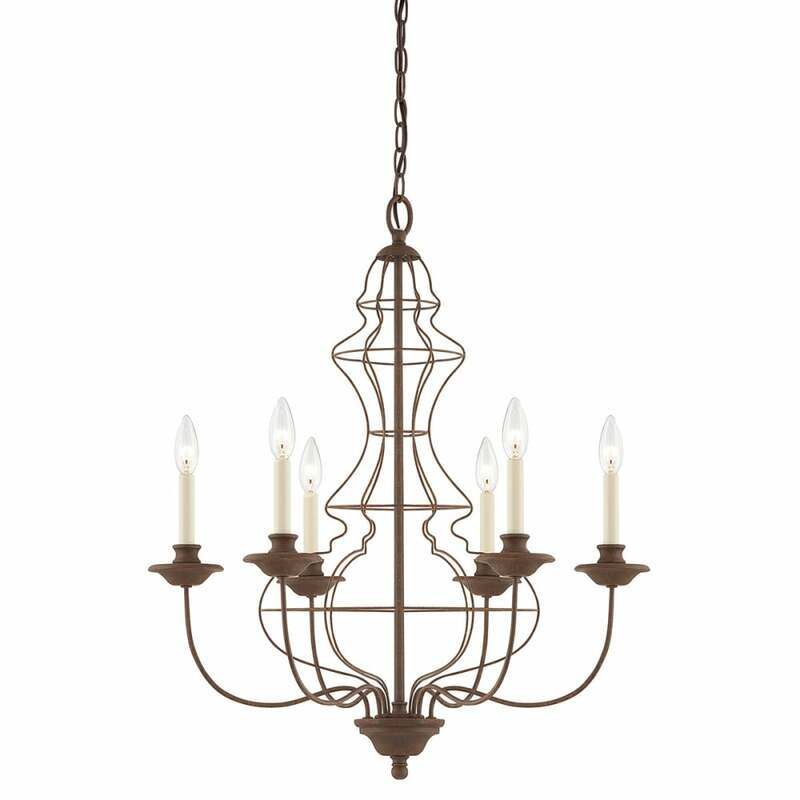 Chandeliers are available with 4, 6 or 9 lights in varying styles, in addition to matching wall lights. View All Quoizel for more information on Laila or view the complete Laila Collection. - Supplied with 2438mm of chain.